The United Arab Emirates has donated more than ten million dollars for the construction of three new schools in the country. Ambassador of the United Arab Emirates, Saleh Ahmad Al-suwaidi says education is very important in any country. The three new schools that will be built are Ratu Simione College in Navua, the Lautoka Mission School and an entirely new Sigatoka Methodist College.
" 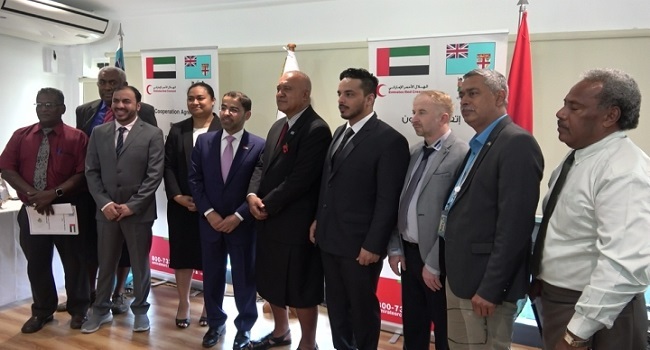 We believe that education is very important for the future of any country and therefore UAE based on the special partnership with Fiji announced 5 million US dollars to build three schools." Permanent secretary for the Ministry of Economy, Makereta Konrote says this funding support will enable the continued progress of Fiji’s education sector.
" For Government this milestone event comes at a very opportune time as we continue to rebuild and review the school infrastructure." Construction of the three new schools is expected to start by June 2019.